ANNAPOLIS, MD – The Hogan administration today announced the approval of five capital grants agreements by the Board of Public Works – totaling $6.39 million – that are dedicated to fostering essential capital projects for Baltimore City arts and science organizations. 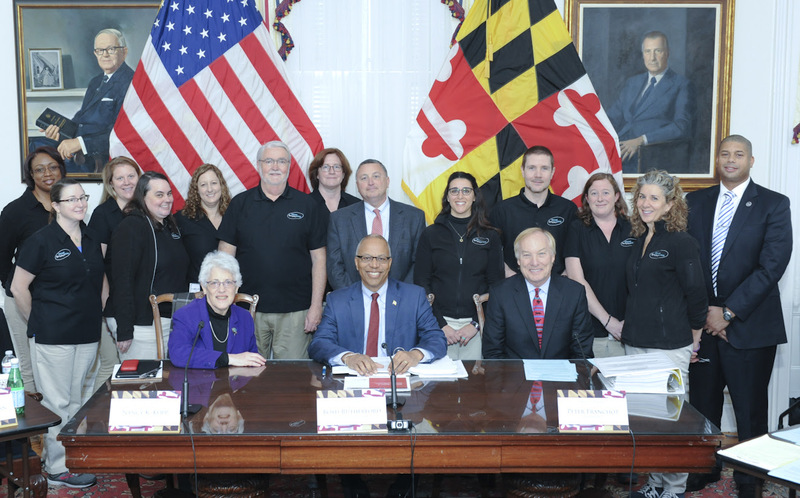 The grants were primarily authored as bond bills during the 2018 session of the Maryland General Assembly and are administered through the Maryland Department of General Services Capital Grants Division. The Board approved the grants agreements for all five Baltimore City cultural anchor institutions, whose missions inspire and encourage conservation, learning, and performance through community engagement: Lyric Foundation, the Maryland Science Center, the Hippodrome Foundation, the National Aquarium, and Port Discovery Children’s Museum. The Maryland Science Center’s $890K grant will assist in upgrading the IMAX theater with a digital projection system to operate in a more efficient and economical manner. Converting the IMAX Theater from film-based to digital will allow the Science Center to screen many more films, as well as hold events not held previously like video gaming and film festivals. Through their $500K grant the Lyric will be renovating the Patricia and Arthur Modell Performing Arts Center to include the replacement of two centrifugal chillers. The new chiller will provide expanded capacity to cool the building during sold out performances, as well as provide early detection of refrigerant leaks to mitigate health and safety concerns. The Hippodrome Foundation will use their $2M grant to assist in renovating the France-Merrick Performing Arts Center to create a community-oriented facility to accommodate 500-1000 patrons. Renovation of the center will create a more affordable and inclusive environment, making the France-Merrick Performing Arts Center accessible to a wider audience and optimizing the significant $70 million investment that has already been made by many in the public and private sectors. Port Discovery is using their $750K grant to fund phase one of a two-phase project that includes the design and installation of two new exhibits. The improvements are designed to enhance educational value, accessibility and safety of museum visitors. Two new exhibits will increase visitation to the area and generate revenue increases for the museum and surrounding businesses. The National Aquarium’s $2M grant will be used for the design, construction, renovation, and equipping of the Animal Care and Rescue Center. The new facility will provide state of the art animal care and exhibit fabrication with the capacity for housing approximately 500 animals on a rotating basis, as well as space to accommodate an 80 percent increase in staff for a total of 44 staff members. The Board of Public Works is comprised of Governor Larry Hogan, Comptroller Peter Franchot, and Treasurer Nancy Kopp. Lt. Governor Rutherford chaired today’s meeting.